Jay and I met with my surgeon on Tuesday and after we all were in agreement, we scheduled my surgery. So, in less than two weeks I will be without my gall bladder. Good riddance! I happen to really like my surgeon - he's the same guy who repaired my hernia during my c-section. I asked him if I could get a discount since this will be my second surgery in 11 months and he said, "Oh, shucks, the deadline for that ended last week." Funny guy. 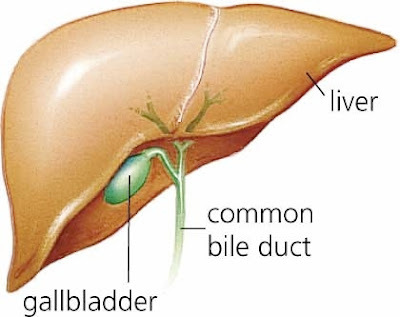 Thanks, Shannon, for the gall bladder picture! Also, I’m hoping my gall bladder weighs about 15 lbs. I'm guessing I won't be that lucky!